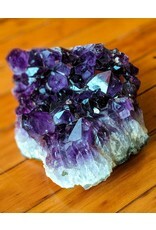 Amethyst is one of the most recognized forms of quartz. 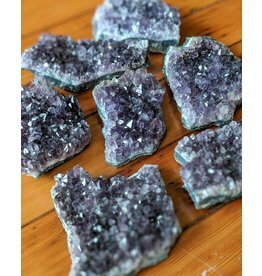 Natural amethyst ranges in color from pale pink to dark violet. 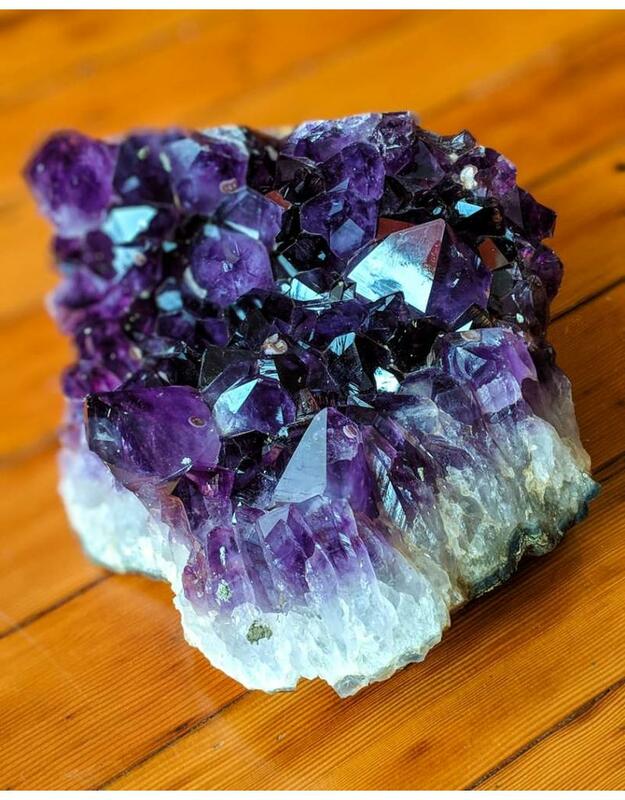 The color is caused by naturally irradiated iron replacing some silicon atoms in the crystal lattice structure. 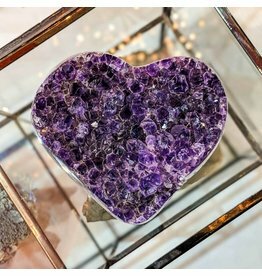 Applying additional heat to the mineral produces even more colors, like green, yellow and red. 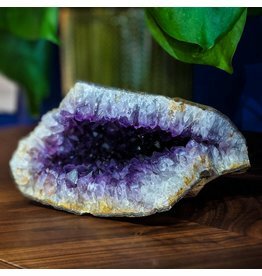 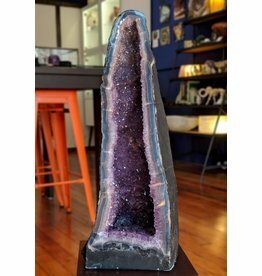 All amethyst from Uruguay is found in vugs and geodes. 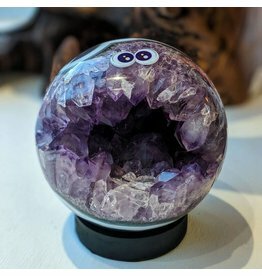 This amethyst vug from Uruguay has a few crystals 5cm in diameter, is 270x220x145mm overall, and weighs 9.75kg.